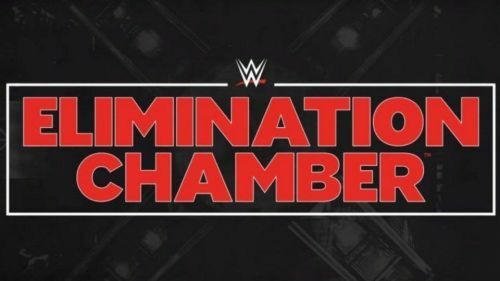 Elimination Chamber 2019 will take place this Sunday on February 17, 2019. The Kickoff Show will start at 6 PM and will be live on a number of platforms, including the WWE Network and WWE's Youtube Channel. The Kickoff Show will feature a Cruiserweight Championship Match between Cruiserweight Champion, Buddy Murphy, and the number one contender, Akira Tozawa. The main show will stream live on the WWE Network, starting at 7 PM. The match card includes a no disqualification match between Braun Strowman and Baron Corbin, a handicap match for the Intercontinental Championship match between Finn Balor and the team of Bobby Lashley & Lio Rush, a Raw Women's Championship match between Raw Women's Champion Ronda Rousey and number one contender Ruby Riott. It also features a SmackDown Tag Team Championship match between SmackDown Tag Team Champions The Miz & Shane McMahon and the number one contenders - the Usos, an Elimination Chamber tag team match for the inaugural Women's Tag Team Championship between the Boss and Hug Connection, the Riott Squad, Fire and Desire, Nia Jax & Tamina, the IIconics, and Naomi & Carmella. 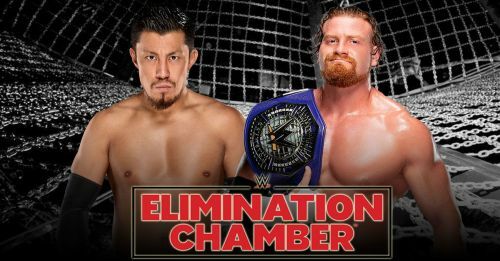 Also at the event will be an Elimination Chamber match for the WWE Championship involving WWE Champion Daniel Bryan, AJ Styles, Samoa Joe, Jeff Hardy, Randy Orton, and Kofi Kingston. Akira Tozawa defeated Cedric Alexander, Humberto Carillo, and Lio Rush in a fatal four-way elimination match to become number one contender to the Cruiserweight Championship. Akira Tozawa has been on a roll as of late, as he has recently defeated the likes of Drew Gulak and Hideo Itami. He is already a former Cruiserweight Champion, and it is definitely possible that he wins it again. He can then potentially defend the Cruiserweight Championship at WrestleMania 35 against his fellow countryman, Kushida. However, it is definitely most likely that Buddy Murphy gets the victory as he is the ace of 205 Live and can defend his title against Tony Nese or Kushida at WrestleMania 35. Final Prediction: Buddy Murphy defeats Akira Tozawa via pinfall with Murphy's Law to become Cruiserweight Champion.